Every interior has an affect, sometimes profound. All spaces evoke a response among those who interact even briefly with its planes and surfaces, and "feel" its effects. And if it is agreed that, in the long run, an interior space—in particular, a workspace—derives meaning from its inhabitants, then as a matter of course we will measure a space—whatever its function—by how it makes us feel. The following chapters of this book focus on the elements of interior design and how they may be put to use to create a more positive experience, to create more happiness, at work. 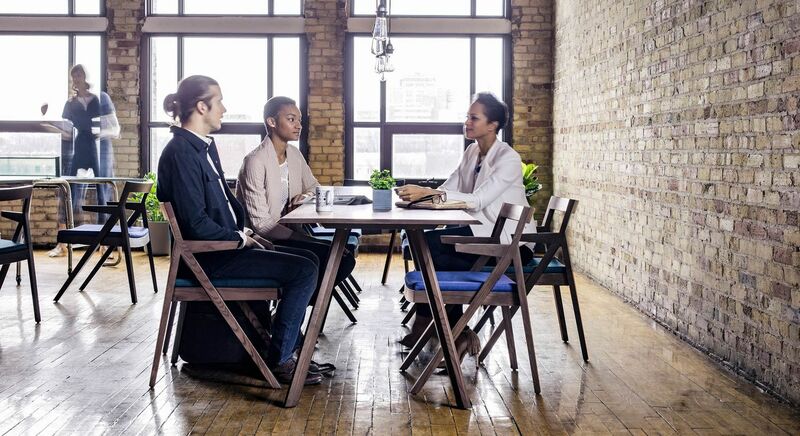 Our discussion ranges across the types of spaces one encounters in the modern office over the course of a workday—and proposes that feeling Welcome, Empowered, Connected, Calm and Comfortable helps people to do their best work. Equally, companies that seek to become skilled in leveraging the power of design, that use design to engage and inspire, often find workers a great deal more likely to exhibit creativity, commitment and a spirit of community in the collective effort. Whatever the prevailing aesthetic model of design, and however complex the concerns and constraints that designers must address. We have a great opportunity to put beauty and meaning into the everyday work environment. We have a chance, and even a mandate, to improve people's lives. That, in essence, is the story of design in earlier eras and this one. Design does matter.